Jenn Hallak is the creative mind behind The Overwhelmed Bride, where they want every bride's dream to become a reality. They help you relieve the stresses of planning your wedding as a resource for your planning. 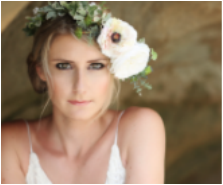 As a recent bride herself, she understands fully the questions, confusion, needs and stress of 'getting married' and offers a lot of thoughtful understanding to the emotion and love of this process. 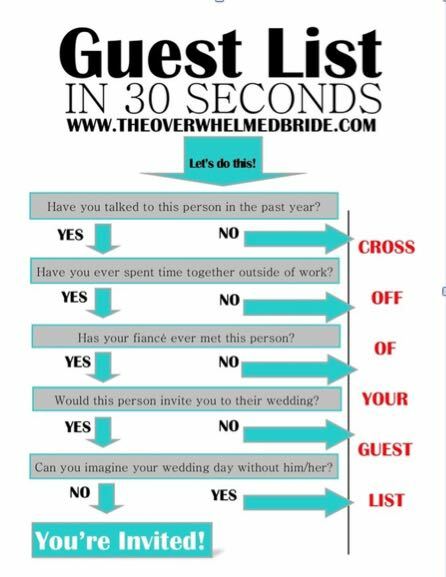 THE OVERWHELMED BRIDE: Here at The Overwhelmed Bride, we want every bride's dream to become a reality. We know that everyone is on a tight budget and that our budgets cannot always support our Pinterest dreams, and that is exactly why we are here. We know that the process is stressful and can often turn out to be more of a headache than it seems to be worth but with our help, I promise we will get you there! We want the wedding planning experience to be a positive one for everyone involved and while that is definitely not the norm, we are working to make it happen for each and every one of you. Whether you are a future mother-in-law, a groom with a beyond stressed fiance, or a soon-to-be bride-to-be, we are here to help calm your nerves and make planning simple. We write for the frustrated, confused, overwhelmed, and so-over-it brides, getting you to and through your wedding vows...stress-free. While we cannot promise that there won't be bumps along the way, with our guidance we can make your experience a positive one! According to Jenn: "My goal is to create ever bride's dream vision...on any budget. So if you're looking for a coordinator to plan your entire wedding or just to be there the day of to make sure everything runs smoothly, I would love to be right by your side, every step of the way! I am based on Southern California but will travel anywhere to make your wedding day perfect." under Coordination. Scroll down farther and you'll be witness to the beauty of Jenn's wedding and her One Year Renewal Vows. 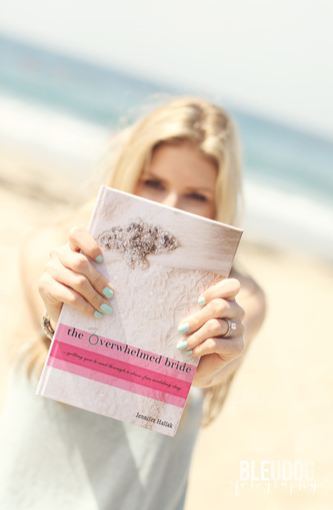 The Book -The Overwhelmed Bride is your quick guide to a stress-free wedding planning experience. While I do promise that there will be bumps along the way, my six years of experience helping hundreds of brides with their planning and being a bride myself just last year, has brought me to keep one goal in mind for all of you. I strive to keep you from getting too overwhelmed with the thought of planning your own wedding, so you can just enjoy that engagement bliss! This quick guide contains the largest stress points and steps to keeping that stress in check. And ultimately, I hope and pray that with my help, each of you will have a positive planning experience. And remember, the goal of a wedding is to celebrate a marriage. If at the end of the day you stand in front of your best friend and vow to be by his or her side for the rest of your life, then I would say your wedding day is a success! Happy Planning! While very casual and intimate, their vow renewal reminded them of what their wedding day, one year ago, was all about – a beautiful marriage and the commitment they made to each other for a lifetime.